Guo, H., Du, L., Liang, J., Yang, Z., Cui, G., and Zhang, K. (2017). "Influence of alkaline-thermal pretreatment on high-solids anaerobic digestion of dewatered activated sludge," BioRes. 12(1), 195-210. The influence of alkaline (23.77 mg NaOH/g total solid), thermal (134.95 °C), and combined alkaline-thermal pretreatment on parameters of dewatered activated sludge (DAS) during high-solids anaerobic digestion was investigated. Soluble chemical oxygen demand (SCOD), soluble proteins, and VFAs (volatile fatty acids) concentrations were significantly higher (by two-fold) in pretreated DAS samples than in the control. During subsequent anaerobic digestion, the concentrations first increased and then decreased. Total chemical oxygen demand (TCOD) decreased by 28.40% to 40.92%, and ammonia nitrogen accumulated during anaerobic digestion. For the alkaline, thermal, and alkaline-thermal pretreatments, daily methane yield significantly increased in mid-anaerobic digestion and cumulative methane yield (CMY) increased by 9.92, 35.25, and 52.95%, respectively, relative to the control. There were clear synergistic effects of alkaline-thermal pretreatment, resulting in a 17.20% increase in CMY compared with the sum of the separate alkaline and thermal pretreatments. Therefore, alkaline-thermal pretreatment was helpful for high-solids anaerobic digestion of DAS and was an effective pretreatment method. Gompertz model fitting to the CMY curve produced determination coefficients (R2) greater than 0.9931 for all pretreatments, which was better than for a first-order kinetic model fitting curve. With the increasing global population and construction of new wastewater treatment plants, dewatered activated sludge (DAS) (80% moisture content) generated by wastewater treatment plants has continuously increased in recent decades (Hao et al. 2010; Ma et al. 2015). In 2015, approximately 39.73 million tons of sewage sludge (80% moisture content) were generated in China (WATER 2014). However, nearly 80% of this sludge is not appropriately stabilised (Duan et al. 2012). Anaerobic digestion is one of the most widely applied technologies for sewage sludge stabilisation because of its high capacity to convert organic matter in the sludge into biogas (Zhang et al. 2015a). Compared with traditional low-solids anaerobic digestion (＜ 15% total solids, TS), high-solids anaerobic digestion (TS ≥ 15%) has many advantages, such as higher volumetric productivity, smaller reactor volume, less energy input for heating, minimal material handling, and so on (Li et al. 2011; Feng et al. 2015). However, methane production during anaerobic digestion is often limited by the slow hydrolysis rate and poor biochemical methane potential of DAS (Batstone et al. 2009). For this reason, many technologies including ultrasonic, thermal, alkaline, and microwave pretreatment have been used to improve the rate of hydrolysis of sewage sludge (Gianico et al. 2013; Yan et al. 2013; Riau et al. 2015). These technologies destroy cells and extracellular polymeric substances (EPS) in sludge, resulting in the release of intracellular and extracellular constituents (Lagerkvist and Morgan 2012; Rani et al. 2012). The released constituents are more readily biodegraded during anaerobic digestion and enhance the methane production. Among these pretreatments, alkaline and thermal techniques have been the most well studied in recent years (Lagerkvist and Morgan 2012; Rani et al. 2012; Riau et al. 2015; Zhang et al. 2015b; Guo et al. 2016). In previous studies (Zhang et al. 2015b; Guo et al. 2016), alkaline and thermal pretreatment significantly enhanced sludge solubilisation and methane production. Alkaline pretreatment combined with thermal pretreatment is often implemented for waste activated sludge solubilisation (Shehu et al. 2012; Guo et al. 2016), and it has been reported to provide synergistic effects (Shehu et al. 2012; Xu et al. 2014). However, those studies carried out anaerobic digestion using low-solids substrate, while the synergistic effects of alkaline-thermal pretreatment in high-solids anaerobic digestion were not examined. Evaluating changes in substrate during pretreatment is important for comprehending the subsequent anaerobic digestion process. Variations in the concentrations of volatile fatty acids (VFAs) and soluble chemical oxygen demand (SCOD) during sludge anaerobic digestion after heat, alkali, and bio-electrochemical treatment have been studied (Feng et al. 2015; Zhang et al. 2015a). Changes in VFAs during solid anaerobic digestion of municipal solid waste have also been reported (Luisa et al. 2013). However, the changes in substrate differ between high-solids and low-solids anaerobic digestion because of different mass transfer rates. Although there is some research on substrate changes during anaerobic digestion (Luisa et al. 2013; Feng et al. 2015; Zhang et al. 2015a), the influence of combined alkaline and thermal pretreatment on substrate composition during high-solids anaerobic digestion has not been evaluated. The objective of this study was to evaluate the influence of alkaline-thermal pretreatment on DAS evolution and to determine possible synergistic effects of alkaline and thermal treatment on high-solids anaerobic digestion. The concentrations of total chemical oxygen demand (TCOD), SCOD, soluble carbohydrates, soluble proteins, ammonia nitrogen, and VFAs in substrate were measured during anaerobic digestion. Furthermore, the influence of pretreatment on methane content, daily methane yield, and cumulative methane yield (CMY) during anaerobic digestion was evaluated. Finally, the Gompertz model and a ﬁrst-order kinetic model were compared for ﬁt with the experimental results and used to predict the methane yield of each pretreatment during anaerobic digestion. Dewatered activated sludge (19.49% TS) was obtained from the Xianyanglu wastewater treatment plant (Tianjin, China) and stored at 4 °C before use. The inoculum (mesophilic seed sludge) came from an anaerobic reactor and was centrifuged before inoculation. Characteristics of the DAS and inoculum are listed in Table 1. As previously determined (Zhang et al. 2015b), the optimal alkaline-thermal conditions were 23.77 mg NaOH·g-1 TS DAS and 134.95 °C. Four pretreatments were included in this study: a control, alkaline pretreatment (23.77 mg NaOH·g-1 TS DAS), thermal pretreatment (134.95 °C), and combined alkaline-thermal pretreatment (23.77 mg NaOH·g-1 TS DAS and 134.95 °C). The alkaline-thermal pretreatment was first implemented in a beaker with a working volume of 1.0 L, where DAS was mixed evenly with NaOH. Subsamples were then placed in thermal reactors with a working volume of 0.5 L and incubated for 1 h in an autoclave. Finally, the treated samples were chilled (4 °C) for 23 h prior to being neutralised to an initial pH of 7.68 with 6 M HCl. The alkaline pretreatment comprised mixing the DAS with NaOH for 24 h, then neutralising with 6 M HCl. The thermal pretreatment comprised incubating the DAS for 1 h and then chilling the samples for 23 h. Untreated samples were used as the reference (control) in all cases. A pressure bottle with 300 mL volume was used as the digestion reactor. There were 10 parallel reactors for each pretreatment, and each reactor was fed with 75 g DAS and 25 g inoculum. After feeding, oxygen in the reactors was removed by flushing with nitrogen gas for 5 min, and then the reactors were sealed with butyl rubber stoppers. The duration of mesophilic anaerobic digestion was 30 days at 37 ± 1 °C. Methane production was determined every day before day 21 and every two days after day 21, and the volume of biogas produced was calculated based on pressure measurements. The sludge in one parallel reactor for each pretreatment was sampled every three days to measure parameters in the sludge. Dewatered activated sludge was heated at 105 °C for 24 h determine TS content, then at 550 °C for 4 h to determine volatile solids (VS) content. The soluble fraction of DAS was obtained by centrifuging the DAS at 10,000 rpm for 10 min at 4 °C and then filtering the supernatant through a microfiber membrane with a pore size of 0.45 µm. The concentrations of SCOD, ammonia nitrogen, soluble carbohydrates, and proteins were analysed using the dichromate reflux method (CODCr), Nessler’s reagent spectrophotometry, the Anthrone method, and the Coomassie Brilliant Blue method, respectively (APHA 1998). Prior to VFAs analysis, the supernatant was acidified by formic acid to adjust the pH to approximately 3.0. Then VFAs were analysed on the Thermal Trace-1300 gas chromatograph equipped with a TR-FFAP column (length 30 m, diameter 0.53 mm) and a flame ionisation detector. 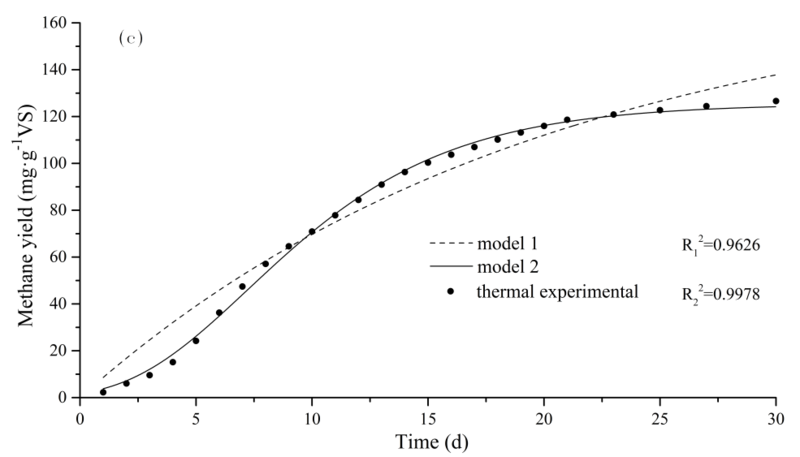 The biogas composition was analysed using a Thermal Trace-1300 gas chromatograph (Thermo Scientific, Waltham, MA, USA) equipped with a molecular sieve column (length 2 m, diameter 2 mm) and a thermal conductivity detector. The pressure in the reactors was measured by pressure gauges (GMH 3111, Greisinger, Regenstauf, Germany). 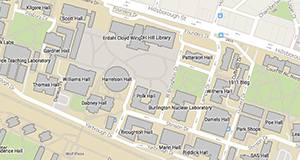 SPSS 22.0 software (IBM, Armonk, NY, USA) was used to determine statistical significance (analysis of variance, p < 0.05). A nonlinear least-square regression analysis was performed using Origin 8.6 software (OriginLab, Northampton, Massachusetts, USA). Soluble COD was periodically monitored during anaerobic digestion over the 30-day study period. During anaerobic digestion, there were two parameters affecting the SCOD concentration. The COD in substrate was dissolved into SCOD under the function of exocellular enzymes in hydrolysis and acidification; however, SCOD in substrate could be converted into methane and carbon dioxide by microorganisms (Fang et al. 2014). Figure 1a shows the change in SCOD concentration for the four pretreatments. 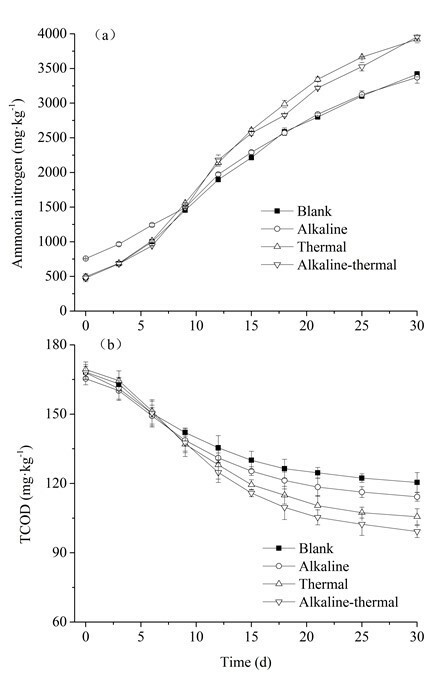 Before anaerobic digestion, the SCOD concentration in the alkaline-thermal pretreatment was the highest of the four pretreatments, presumably because of the greater pretreatment severity, and was 2.95-fold higher than in the control (lowest). Immediately after the start of anaerobic digestion, a further increase in SCOD was observed, and then the SCOD concentration decreased after 6 days in all four treatments, contradicting findings in other research (Wang et al. 2005b; Fang et al. 2014). The reason was probably the high ability for COD disintegration in solids during the predigestion phase and conversion into SCOD under hydrolysis and acidification by microorganisms. During the whole anaerobic digestion period, the SCOD concentration in the thermal and alkaline-thermal pretreatments was similar and was remarkable higher than in the other two treatments, while the value in the control and the alkaline pretreatment was also similar. The sludge SCOD content decreased more quickly for the thermal and alkaline-thermal pretreatments than for the others from days 6 to 15 of anaerobic digestion. The results indicated that thermal pretreatment disintegrated complexes and poorly biodegradable compounds (cell membrane, proteins, etc.) to simpler and readily biodegradable compounds, resulting in greater sludge degradation and high SCOD (Wang et al. 2005a). The low SCOD concentration in the alkaline pretreatment was presumably due to the alkali dose being too low to sufficiently degrade the DAS (Rani et al. 2012). After 15 days, the SCOD concentration was maintained at an almost constant level in all treatments, as noted previously (Feng et al. 2015). The reason may be that the methanogenic activity decreased during anaerobic digestion, resulting in a decline in SCOD biodegradation. Proteins and carbohydrates were the main constituents of sludge and were converted to soluble forms during sludge pretreatment (Yan et al. 2013) and anaerobic digestion. Because thermal and alkaline pretreatment were effective methods for sludge disintegration, the effects of pretreatment on soluble protein and soluble carbohydrate concentrations were monitored, as well as the effect of anaerobic digestion on these compounds (Figs. 1b, c). 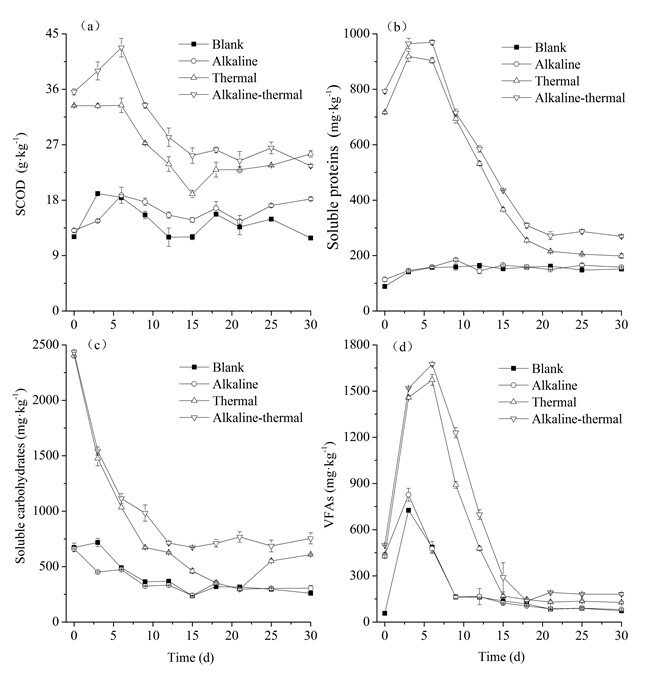 The soluble protein concentration obviously increased after thermal and alkaline-thermal pretreatment (p = 0.05), and remained at a higher level during the whole anaerobic digestion period compared with the control (Fig. 1b). 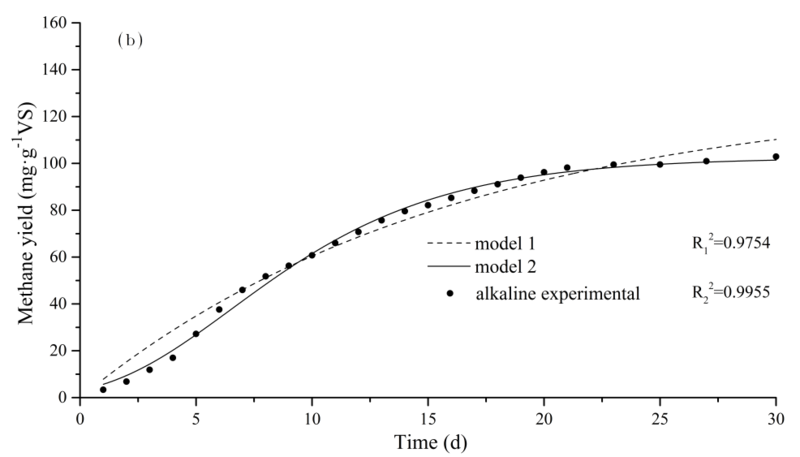 There was no significant difference (p = 0.05) between the alkaline pretreatment and the control. After the thermal and alkaline-thermal pretreatments, the initial soluble protein concentration was 8.09- and 8.95-fold higher, respectively, than in the control, as reported previously (Xu et al. 2014). Following the thermal and alkaline-thermal pretreatments, the soluble protein concentration increased from days 0 to 3 of anaerobic digestion, did not show any obvious variation between days 3 to 6, and then quickly decreased at later anaerobic digestion stages. A similar pattern was observed in a previous study (Kavitha et al. 2014). The soluble protein concentration in the alkaline-thermal pretreatment was highest (969.62 mg·kg-1) on day 6 of anaerobic digestion. However, the concentration in the control and alkaline pretreatment only increased slightly during anaerobic digestion. These results were similar to those found for SCOD, high levels of SCOD and soluble proteins were helpful to increase methane yield, which would be analysed in the section of methane yield. From the results, it was apparent that high temperature contributed to sludge degradation during subsequent anaerobic digestion, while the alkaline pretreatment was too weak to increase the soluble protein content. 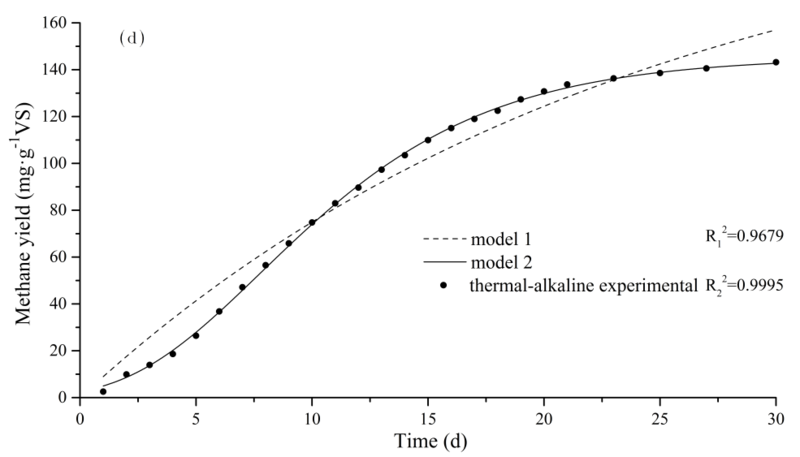 The soluble carbohydrate concentration following thermal and alkaline-thermal pretreatments was greatly higher than in the control and alkaline pretreatments (Fig. 1c). After thermal pretreatment, 18.74% of total carbohydrates were converted into soluble carbohydrates, compared with 4.51% of the control, which was consistent with previous findings (Zhang et al. 2015b). More soluble carbohydrate was contributed to increasing methane yield, similar to SCOD and soluble proteins. In the first 9 days, the soluble carbohydrate concentration decreased in all treatments, with that in the thermal and alkaline-thermal pretreatments decreasing more rapidly than that in the other treatments. The reason was that thermal pretreatment converted poorly degradable carbohydrates into readily degradable compounds. The soluble carbohydrate content decreased immediately at the beginning of anaerobic digestion, which was different to the trends observed for SCOD and the soluble proteins. This was because the soluble carbohydrates were mainly micromolecular substances and were directly used by microorganisms as substrate, producing methane and carbon dioxide. Carbohydrates are mainly located in EPS (Bougrier et al. 2008), and thermal pretreatment caused carbohydrates in EPS to convert into soluble compounds, resulting in lower soluble carbohydrate production in subsequent digestion. In anaerobic digestion, VFAs are important intermediate products used mainly by methanogenic bacteria to produce methane (Zhang et al. 2015b). The changes in VFA concentration during anaerobic digestion are shown in Fig. 1d. The VFA concentration after pretreatment for the alkaline, thermal, and alkaline-thermal pretreatments was 438.29, 442.14, and 499.43 mg·kg-1, respectively, all of which were significantly (p < 0.05) higher than the control. Thus, alkaline and thermal pretreatment accelerated disintegration of the sludge. The VFA concentration in the control and alkaline pretreatment increased from days 0 to 3 and then decreased from days 3 to 9 of anaerobic digestion, while that in the thermal and alkaline-thermal pretreatments increased from days 0 to 6 and then decreased from days 3 to 15. The VFA concentration in the alkaline-thermal pretreatment was highest on day 6 of anaerobic digestion, 1169.01 mg·kg-1, which was a 3.34-fold increase compared with the initial concentration. These results indicated that microbial hydrolysis and acidification had more severe effects on the substrates than the combined alkaline-thermal pretreatment. Moreover, the increment in the alkaline-thermal pretreatment was higher than that in the control in the first 3 days of anaerobic digestion, because the alkaline-thermal pretreatment converted recalcitrant material into readily available substrate for microorganisms. However, accumulation of VFAs can cause inhibition of methanogens and failure of the reactor (Abbassi-Guendouz et al. 2012; Zhu et al. 2014). There was no obvious variation between pretreatments in the last 9 days of anaerobic digestion due to the reduction in methanogenic activity. The concentrations of ammonia nitrogen and TCOD in substrate during the anaerobic digestion process are shown in Fig. 2. Ammonia nitrogen concentration gradually increased during anaerobic digestion in all treatments (Fig. 2a). The initial concentration was clearly higher in the alkaline pretreatment than in the other pretreatments, due to sludge disintegration and volatilisation of ammonia nitrogen at high temperature in the thermal pretreatment. These results were consistent with previous findings (Zhang et al. 2015b; Guo et al. 2016). Accumulation of ammonia nitrogen was caused by the degradation of proteins during anaerobic digestion (Cuetos et al. 2010; Xu and Li 2012). After 9 days, the ammonia nitrogen concentration in the thermal and alkaline-thermal pretreatments exceeded those in the other two pretreatments, and the difference gradually increased, which was related to high methanogenic activity (high daily methane yield). Although ammonia provides nitrogen for bacterial growth (Strik et al. 2006) and buffering capacity (Procházka et al. 2012) during anaerobic digestion, high ammonia concentrations may have caused severe inhibition of methanogenesis. Ammonia nitrogen concentrations of 1500 to 7000 mg kg-1 inhibit methanogenesis, depending on the nature of the substrate, inoculum, temperature, pH, and acclimation period (Rajagopal et al. 2013). After 9 days of anaerobic digestion, the ammonia nitrogen concentration was over 1500 mg kg-1 in all treatments, and methanogenic activity started to be inhibited, resulting in a decline in methane yield. The TCOD concentration gradually decreased during anaerobic digestion for all treatments (Fig. 2b). The concentration of TCOD in the control was reduced by 28.40%, the smallest reduction among the four treatments, while alkaline-thermal pretreatment showed the greatest reduction (40.92%). These results indicated that alkaline-thermal pretreatment contributed to biodegradation of the sludge during anaerobic digestion. In the first 9 days of anaerobic digestion, there was no obvious difference (p < 0.05) between any of the treatments, as there was enough readily degradable material in substrate in all treatments to be used by microorganisms. After 9 days, with the decline in readily degradable material in substrate, the degradation rate of TCOD gradually decreased. The amount of readily degradable material in the thermal and alkaline-thermal pretreatments was higher than in the control and, therefore, the reduction in TCOD in those treatments was greater than in the control. The methane concentration during anaerobic digestion is shown in Fig. 3a. The concentration increased quickly in the first 6 days of anaerobic digestion, and then showed no obvious variation. Methane accounted for 60 to 65% of the biogas produced after 6 days, demonstrating that the conditions in anaerobic digestion had reached equilibrium (Dearman and Bentham 2007). These results confirmed previous findings (Zhang et al. 2015b; Guo et al. 2016). The methane content decreased on day 15 of anaerobic digestion because the butyl rubber stoppers of the digestion reactors were replaced with new ones at day 14, resulting in a small amount of air entering the pressure reactors. Figure 3b shows changes in CO2 content, which displayed the same trend as methane. However, the CO2 content in the thermal and alkaline-thermal pretreatments was obviously higher than in the others between days 3 and 6. Acidification occurred in the substrate on those days due to the high VFAs concentration. Afterwards, the anaerobic digestion conditions recovered, and the CO2 content declined to approximately 35%. Daily methane yield, an important parameter in response to methanogenic activity, was low at the beginning and end of the anaerobic digestion process, as shown in Fig. 3c. This result reflects that the methane produced during anaerobic digestion corresponds to the specific growth rate of methanogenic bacteria (Jagadish et al. 2012). Daily methane yield quickly increased in the first 6 days of anaerobic digestion and then decreased, which was consistent with the variation in SCOD concentration. There was one marked peak in daily methane yield during anaerobic digestion in all treatments. The highest peak (12.07 mL·g-1VS d-1) was observed for the thermal pretreatment and the lowest (10.40 mL·g-1VS d-1) for the alkaline pretreatment. Daily methane yield slightly decreased at day 3 for the thermal and alkaline-thermal pretreatments, and then increased to a maximum at day 6, due to the slight acidification in the substrate as demonstrated by the increase in VFAs (Fig. 1b). Daily methane yield in the thermal and alkaline-thermal pretreatments was greater than that in the other pretreatments from day 8 to 21 of digestion. The thermal pretreatment converted poorly degradable material into readily degradable material, improving biodegradation of the sludge, as demonstrated by high SCOD (Fig. 1a). In addition, daily methane yield in the alkaline-thermal pretreatment was higher than in the thermal pretreatment, indicating that combined alkaline and thermal pretreatment had synergistic effects that enhanced the methane yield. Daily methane yield in the alkaline pretreatment was similar to the control, due to the similar SCOD concentration, indicating that the effect of alkaline pretreatment on sludge was limited, as noted previously (Guo et al. 2016). For the alkaline, thermal, and alkaline-thermal pretreatments, the CMY was 102.92, 126.63, and 143.20 mL·g-1VS·d-1, respectively (Fig. 3d), an increase of 9.92, 35.25, and 52.95%, respectively, compared with the control. These results indicated that alkaline and thermal pretreatment were capable of increasing CMY, as also demonstrated in previous studies (Zhang et al. 2015b; Guo et al. 2016). The pretreatment process improves the disintegration of sludge and, therefore, accelerates biodegradation during anaerobic digestion, resulting in an increase in methane yield (Lagerkvist and Morgan 2012; Rani et al. 2012; Gianico et al. 2013; Zhang et al. 2015b; Guo et al. 2016). The combined CMY increment was 45.17% (9.92% + 35.25%) for the alkaline and individual thermal pretreatments when applied separately in the same digestion conditions. Therefore, an increase in methane yield of 17.20% [calculated as: (52.95% – 45.17%)/45.17% × 100%] (Tian et al. 2014) was obtained when alkaline and thermal pretreatment were combined, i.e., the combined pretreatment induced obvious synergistic effects. This was related to the high SCOD concentration in substrate in the alkaline-thermal pretreatment, as mentioned in Fig. 1a. In addition, the low sodium concentration in substrate may have improved the methane yield (Zhang et al. 2015b; Guo et al. 2016). As shown in Fig. 3d, CMY gradually exceeded that in the control after day 6 and the increment grew gradually, indicating that alkaline and thermal pretreatment improved the methane production in the mid-digestion stage (day 6 to 20). As the readily biodegradable material was sufficient for biodegradation by anaerobic bacteria in all treatments at the early digestion stage, there was no obvious difference in the methane yield at this stage (before day 6). After day 6, when pretreatment enhanced the amount of readily biodegradable material, this was beneficial for methane yield in the mid-digestion stage. These results agree with those in previous studies (Riau et al. 2015; Zhang et al. 2015b; Guo et al. 2016). where Y(t) was CMY at digestion time t (mL·g-1VS), Ymax was the potential maximum methane yield of sludge (mL·g-1VS), k was the methane production rate constant (d-1), kmax was the maximum methane production rate (mL·g-1VS·d-1), λ was the lag phase (d), t was the duration of the assay (d), and e was the exp(1) = 2.7183. In addition, the Gompertz model fitting curve followed a typical sigmoid style, which better fitted the methane production process. For the control, alkaline, thermal, and alkaline-thermal pretreatments, R22 was 0.9931, 0.9955, 0.9978, and 0.9995, respectively. Thus, with greater severity of pretreatment, R22 was closer to 1, and the Gompertz model fitting curve was better, demonstrating the suitability of the Gompertz model..
Alkaline-thermal and thermal pretreatment of DAS (dewatered activated sludge) had a signiﬁcant effect on sludge biodegradability during anaerobic digestion, and increased methane production by 25 and 52.95%, respectively, compared with the control. However, the alkaline pretreatment was weak, had a little effect on sludge biodegradability, and only increased methane production by 9.92%. Analyses of SCOD (soluble chemical oxygen demand), soluble proteins, soluble carbohydrates, VFAs (volatile fatty acids) showed that they first increased and then decreased during high-solids anaerobic digestion of DAS. In addition, they were at higher levels in the thermal and alkaline-thermal pretreatment than that of alkaline pretreatment and control, which contributed to high methane yield. TCOD (total chemical oxygen demand) and ammonia nitrogen gradually decreased, and ammonia nitrogen increased during high-solids anaerobic digestion of DAS. For the alkaline, thermal, and alkaline-thermal pretreatments, CMY (cumulative methane yield) significantly increased compared with the control. Thermal-alkaline pretreatment provided synergistic effects, resulting in a 17.20% increase in methane yield compared with the sum of separate alkaline and thermal pretreatments. For all pretreatments, the R2 value of a Gompertz model fitting curve for CMY was higher than 0.9931, better than for a first-order kinetic model. This research was funded by the Special Fund for Agro-scientific Research in the Public Interest (201303101) and the National High Technology Research and Development Program of China (2014BAL02B04). The authors would like to thank the Agro-environmental Protection Institute, Ministry of Agriculture for their financial support and also acknowledge Xianyanglu wastewater treatment plant for its assistance in supplying DAS for this research. American Public Health Association (APHA) (1998). Standard Methods for the Examination of Water and Wastewater (20th Ed. ), Washington, DC. WATER (2014). “Sludge disposal and treatment,” (http://www.water8848.com/news/201409/08/20796.html), Accessed on 8 September 2015. Article submitted: August 16, 2016; Peer review completed: October 29, 2016; Revised version received and accepted; November 2, 2016; Published: November 14, 2016.